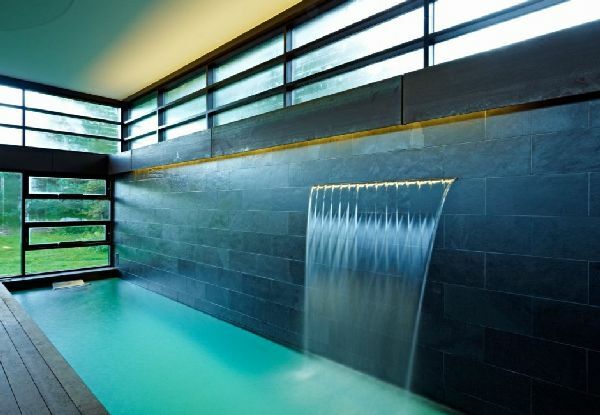 Creating modern waterfalls inside home can make us feeling close to nature. Hearing water sound can reduce stress and bring freshness. Besides that, this modern design can beautify this room and add value for its home. There are several ideas to make wonderful this waterfalls. First idea is installing glass tile sheet behind this water flowing. 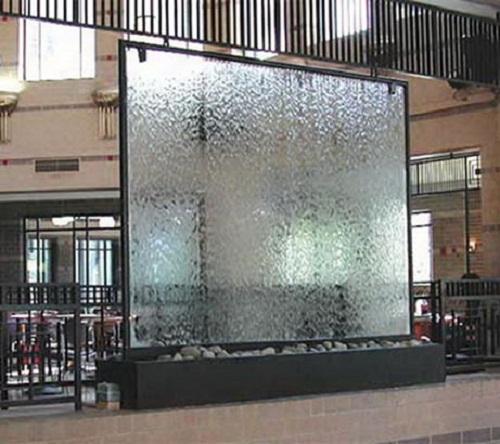 Usually this glass tile sheet are installed on kitchen, bathroom and swimming pool. Now, it will be tried to be installed here. 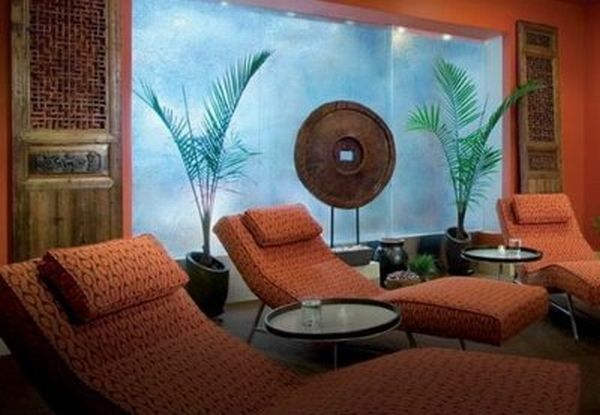 Colorful glass tile sheet is fit for this purpose. On night time, under lamp light, this glass tile sheet will be sparkling like star on the sky. Other alternative for this glass tile sheet is installing bottle fraction into this waterfall wall. It will give same effect with glass tile sheet as long as it’s installed well. Second modern waterfalls idea is installing granite or marble as waterfall wall. Be creative to install this natural stone. Don’t be monotonous by arranging on flat from top to bottom. It’s better if this natural stone is arranged like stair or tilt. If this natural stone is arranged like stair, make sure this water will not flow fast, because water can spread anywhere. Third modern waterfalls idea is installing lamp above and under this waterfall. It can give color for this water. It will be dramatic when night come, these lamps are turned on. Several lamp types like hockey puck light is fit for this purpose. Fourth idea is entering koi fish on this basin. Waterfall and koi will be great combination. While enjoying water flowing and its sound, looking at this pretty koi can reduce stress. If this basin is entered koi, it must be made with proper depth, because koi like to hide in depth. Fifth idea is flowing this water into big blurry glass sheet then install several lamps with different colors behind it. It will be dramatic sight when night come.